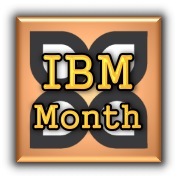 These links are courtesy of PacktPub, received as part of IBM Month. Why India has a long way to go before producing a Google or Microsoft? • Lack of Local Market – the biggest problem is lack of big enough local market in India. Any product company cannot become big unless they have a large enough local market to prove and refine themselves. Look at Google, Microsoft, Facebook, Twitter and one big reason for their early success is the large enough local market for them to grab. They ventured out of US only after they have established themselves in their local market. In India, barring a few domains like online gaming, no other domain provides a big enough market for any product company.